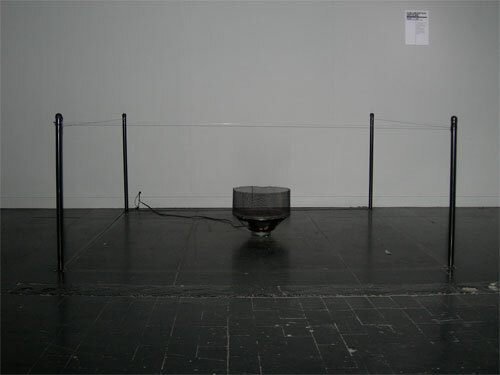 A large loudspeaker containing a paper fish is connected to an amplified fishing line, which is stretched around the installation. This almost invisible limit is actually a point of interaction, as any contact with the fishing line generates sonic vibrations and animates the fish. Apparently, it is the audience who pulls the strings and the fish’s life which hangs by a thread. However, the fishing line being an interface is only a distraction from its ultimate function as a barrier, keeping the audience at a distance.